The cancellation is less about the show itself and more about the brand it's associated with. 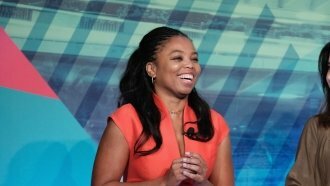 ESPN canceled its newest sports talk show after just one episode after the website the show is associated with faced allegations of misogyny. The show was "Barstool Van Talk," hosted by Dan Katz (aka Big Cat) and the pseudonymous PFT Commenter. Their popular sports podcast, "Pardon My Take," is produced by the website Barstool Sports. If the show's first episode was any indication, ESPN seemed to be hoping to channel the podcast's notoriously irreverent humor. Despite this, ESPN President John Skipper canceled the show less than a week after its first episode aired. In a statement, Skipper said he "erred in thinking we could distance our efforts from the Barstool site and its content." It's pretty clear what Skipper is alluding to here: Barstool Sports' website has faced criticism for being misogynistic in tone, especially when addressing women in sports media. A day before the Barstool Van Talk's premiere, ESPN reporter and studio host Sam Ponder tweeted out a screenshot of a Barstool Sports post about her from 2014. The profane post said her job as a sideline reporter only existed to arouse male viewers. ESPN's vice president of programming and scheduling responded to Ponder, saying the post was "offensive and inappropriate," but that "we do not control the content of Barstool Sports." At the time it appeared ESPN was trying to separate the Barstool content seen on TV and the rest of what appears under the Barstool Sports umbrella. Now, though, it looks like they've thrown in the towel.